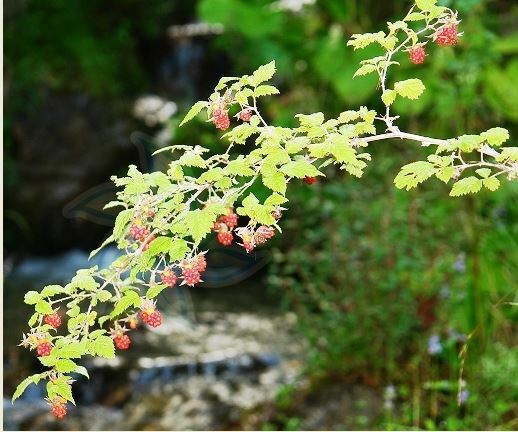 Wild red raspberry is a raspberry from very cold areas. It is known by different local names at different place. 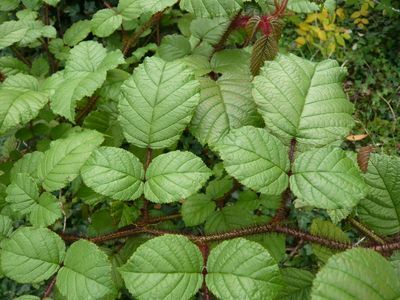 In fact, it is the second highest elevation species of Rubus. It grows at elevations ranging between 2000 – 4500 m above sea level in Tibet, North West India, Kashmir, Pakistan, Afghanistan and Iran. The fruits are eaten by local people. These are, however, not offered for sale anywhere. 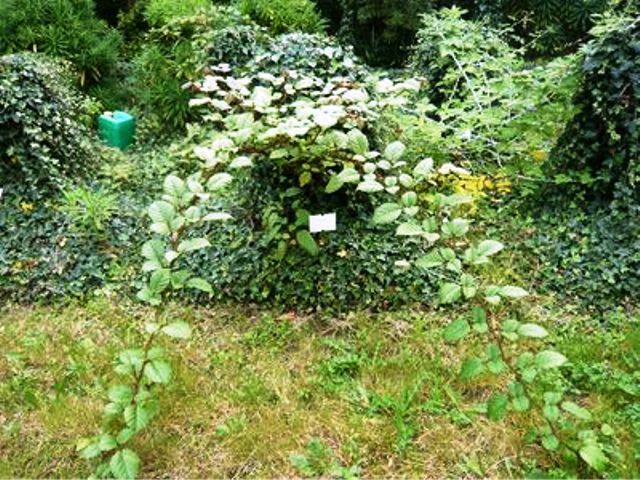 Semi-dwarf shrub-like herb or near, about 10-60 cm; branches are purple acupuncture, pubescent and glandular hairs. Leaflets three, thin, gold, oval or elliptical, 3-5 cm long, 2-3.5 cm wide, apex acute to shortly acuminate, base broadly cuneate to nearly rounded, terminal leaflet base nearly truncate, on Soft hair mask, below densely gray hair, margin irregularly coarsely toothed or doubly serrate; petiole 3-5 cm long, small apical petiole 1-2 cm long, lateral leaflets almost sessile, with purple-red needle , pubescent and glandular hairs; stipules linear or linear-lanceolate, pilose and glandular hairs. Drooping flowers often solitary or 2-3 flowers born in the top branches; pedicels 1.5-3 cm, acupuncture, pubescent and glandular hairs; bracts and stipules similar, but smaller; flowers 1.5-2 cm diameter ; with a purple calyx, outside purple acupuncture, pubescent and glandular hairs; calyx shallow cup; sepals ovate or ovate-lanceolate, 1-1.5 cm long, acuminate tip to tip of the tail, flower after erect; petals broadly elliptic or spatulate, white, pilose, base with short claws, shorter than sepals; stamens many, filaments linear, with a few style as long as or longer; most pistil, ovary with gray hair. Fruit nearly spherical, 1-1.5 cm in diameter, red, tomentose; nuclear relatively smooth or slightly textured. Flowering from June to July, fruiting period from August to September. Fruits of wild red raspberry ripen from August to September. These are good to eat by local people, especially children. 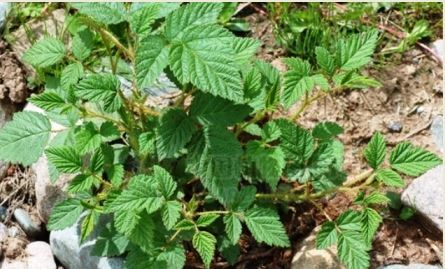 The shrubs of wild red raspberry just grow wild. These have not been brought under cultivation yet.